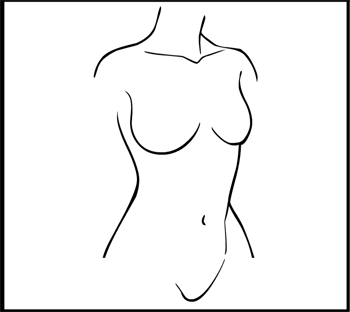 Sean David Ross requested a 3/4 view female torso for winning Character Contest 62, which has just been uploaded to the Body-Female-Standard set. Enjoy! This entry was posted in Challenge Prizes, Challenges, Character Design Challenges, HeroMachine 3. Bookmark the permalink. Great job, SDR & Jeff! why didnt you just use the 3/4 body that was already there to get the torso by itself? Because a) I forgot I had that one and b) why not have something new? You can mask out the limbs of the other one if you prefer it. Hey Jeff… I know I’ve already used up my prize win… But could we get some nice simple earrings? Just regular rings/hoops? I’ve currently been using insignias to mimic piercings, but it just isn’t as clean. Hey can I throw out a suggestion to someone? In the insignia, you find the Caduceus symbol, the staff with the wings and two snakes. This is commonly believed to be the symbol of medicine. But actually this is untrue. The symbol for medicine is the Rod of Asclepius. It’s the staff with just the one snake. I’d really like this to be in there. I think I can do earrings. To the Bat Cave!!! Tell me what you think. If okay I will send to Jeff for consideration. Think about what? Did you forget the attachment? Nope. My post is waiting for moderation. If you can’t wait for it you can find the images in my Hero Archive thread in the forums (Amazing Adventures Rogue’s Gallery). Ooh, perfect! I’ve been using horseshoe insignias lately… They’re functional, but… meh. Those are very nice – clean and basic enough to work with. I submitted the earring to Jeff. If he is okay with it he may add it in. Oh gosh yes, dblade, MMI, and Zyp have actually drawn these items by hand and sent them to me in vector format for easy importing. They’ve done a great job and definitely deserve the credit for producing the art. That’s awesome; multiple artists working on Heromachine. And they’re still very synthesized with the HM style. Do we have an ‘ongoing projects’ thread yet? I think it’d be useful to have a list of items on the To Do List, as well as who’s working on what. People could make requests and suggestions in the same thread. I know I have a long list of ideas (somewhere), I just don’t want to sound like a nag, or repeat something that’s already been asked for. No, there’s no central thread for that really. Mostly that’s because I am still at “item freeze” time where I’m trying hard not to add more stuff to the program until I get the old stuff converted to female use.